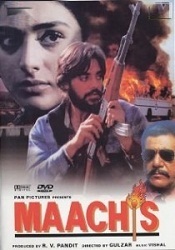 Maachis was directed by Gulzar and co-starred Tabu, Om Puri and Chandrachur Singh. Film tells the story of aftermath of Operation Blue Star, assassination of Indira Gandhi and 1984 Anti-Sikh riots. During this time police start to enquire a sikh community family as they are the suspects of some crimes. Rest of the story is about how the deficiencies in political system make innocent people to take the path of violence for personal justice. 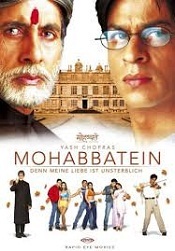 Mohabbatein was directed by Aditya Chopra and co-starred Shahrukh Khan, Amitabh Bachchan, Aishwarya Rai, Uday Chopra and Jugal Hansraj. Film was made with budget of INR181 million and earned INR741.1 million at box office. Film tells the story of strict headmaster of a Gurukul. There are new three college students in his college who fall in love. Headmaster is against the love affairs and warns the students against it. He keeps on punishing the students for any small mistakes and one day a new music teacher comes to his college. Rest of the story is about how new music teacher changes everything about the attitude of headmaster. Munna Bhai M.B.B.S was directed by Rajkumar Hirani and co-starred Sanjay Dutt, Arshad Warsi, Sunil Dutt, Gracy Singh and Boman Irani. Film was made with modest budget of INR10 crore and earned INR30.75 crore at box office. Film tells the story of local goon attending medical college to fulfill his father’s dream. He and his family was insulted by a doctor who refused to marry his daughter with him because of his goon status. He cheats in medical exam and scores highest in tests. His friendly nature makes him to be loved by all the hospital crew. His childhood friend falls for him and rest of the story is about how he changes in father in laws nature. Agnipankh was directed by Sanjiv Puri and co-starred Rahul Dev, Divya Dutta and Richa Pallod. Film was made with budget of INR170 million and earned INR280 million at box office. Film tells the story of young pilot of IAF fighter. When Kargil War starts Indian Air Force sends for counter attack. The protagonist and his friend is caught by the Pakistan army, rest of the story is about how they escape to India running through the forests of Pakistan. 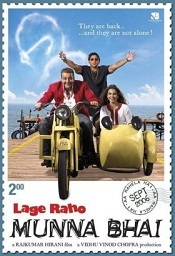 Lage Raho Munna Bhai was directed by Rajkumar Hirani and co-starred Sanjay Dutt, Arshad Warsi, Vidya Balan and Boman Irani. Film was made with budget of INR120 million and earned INR1.19 billion at box office. Film tells the story of protagonist who sees and talks to Mahatma Gandhi. He is an ardent follower of Mahatma Gandhi and follows Gandhigiri ie non-violence path. He sends flowers to his enemies and wins their heart. Rest of the story is how antagonist proves that protagonist is mentally ill and sees the things which don’t exist. 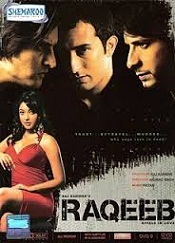 Raqeeb was directed by Anurag Singh and co-starred Sharman Joshi, Tanushree Dutta and Rahul Khanna. 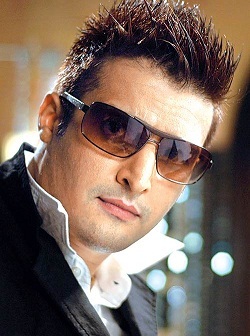 Film was a commercial hit and earned INR 39 crores at box office. Film tells the story of young woman who is in love with a guy and pretends to love other guys just to get their money. She kills them and takes their money. But her boy friend is not aware of her relationships and their deaths. Rest of the story is cat and mouse chase. 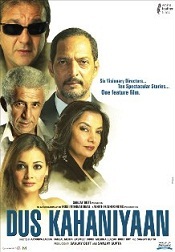 Dus Kahaniyaan was directed by Sanjay Gupta and co-starred Diya Mirza, Sunil Shetty, Arbaaz Khan and Amrita Singh. Film was made with budget of INR200 million and earned INR350 million at box office. Film has ten different short stories, it was directed by six different directors. It has several supernatural elements in it. A Wednesday! 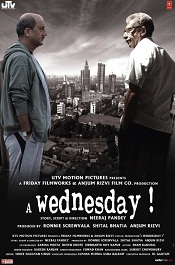 was directed by Neeraj Pandey and co-starred Anupam Kher, Naseeruddin Shah, Deepal Shaw and Aamir Bashir. Film tells the story of Mumbai police commissioner who narrated the most interesting case in his career. On Wednesday an unnamed man hides his explosives bad in one of Mumbai police station near headquarters and goes to a construction site’s roof top to execute his plans with modern gadgets, mobile phones and several SIM cards. He calls police head and informs that he put five bombs in city which will explode unless police meet his demands which includes the release of four militants. 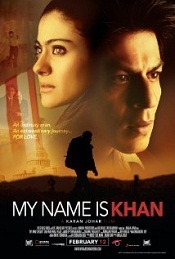 My Name Is Khan was directed by Karan Johar and co-starred Shah Rukh Khan and Kajol. Film was made with budget of INR38 crore and earned INR200 crore at box office. Film tells the story of protagonist who is a Muslim and lives with his brother and mother. He has special gifts and very brainy in repairing mechanical things. This leads to special attention from his teachers and mother. Rest of the story is about the prejudice developed against Muslim community after September 11 attacks on US soil. Tanu Weds Manu was directed by Anand L. Rai and co-starred R. Madhavan, Kangna Ranaut and Eijaz Khan. Film was made with budget of INR175 million and earned INR560 million at box office. Film tells the story of NRI doctor living in London coming to India to find a suitable bride for her. His parents already have a marriage proposal and they take him to meet his girl. Later he comes to know that she is already in love other guy and tattooed his name on her chest. Rest of the story is about their wedding. 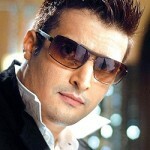 Saheb, Biwi Aur Gangster was directed by Tigmanshu Dhulia and co-starred Mahi Gill and Randeep Hooda. Film was made with budget of INR40 million and earned INR200 million at box office. Film tells the story of a beautiful queen, her king and an ambitious young man. The king has many financial troubles and struggling to maintain his royal lifestyle. His political rival is trying hard to destroy the royal family out of his old grudge. He starts to use his right hand man who is ready to do any crime for his king. Rest of the story is about how queen falls for her driver and their extra marital affair. 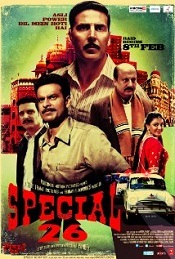 Special 26 was directed by Neeraj Pandey and co-starred Akshay Kumar, Kajal Aggarwal, Manoj Bajpayee and Divya Dutta. Film was made with budget of INR420 million and earned INR1.03 billion at box office. Film tells the story of group of criminals posing as CBI officers executed an income tax raid and jewelry store in Mumbai. Police had few clues about the heist but they just stand outside the shop waiting for the criminals. Leader of the group uses a corrupt police officer in order gain information about the movements of police officers. Bang Bang! was directed by Siddharth Anand and co-starred Hrithik Roshan, Katrina Kaif, Danny Denzongpa and Javed Jaffrey. Film was made with budget of INR1.40 billion and earned INR3.40 billion at box office. It is a remake of Hollywood blockbuster Knight and Day. Film tells the story of young man who steals Koh-i-Noor diamond from the Tower of London to win the challenge posed by a terrorist. Terrorists’ men come to him to make a deal of $5 million but here protagonist makes demand for $20 millions. Rest of the story is about mystery of his story.